Set against the origins and consequences of the global financial crisis, this timely book offers an enriching and revealing narrative of the role that the state plays in regulating markets. Focusing on core areas of private law such as corporate, labour and banking law, the contributors offer a conceptual framework in which to examine the central tenets of the role of private law in today's global economy. In the current climate of ever increasing economic inequality and austerity measures, the authors highlight the urgent need for a comprehensive analysis of the continuing tension between ideas of market liberalism and theories of society. 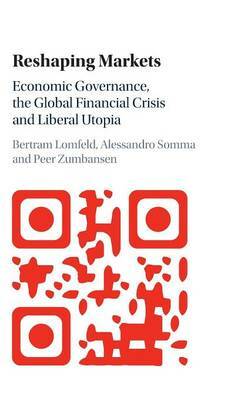 With a focus on both the domestic and transnational dimensions of market governance, the authors offer a crucial insight into the co-existence and interaction between state and market-based economic governance.